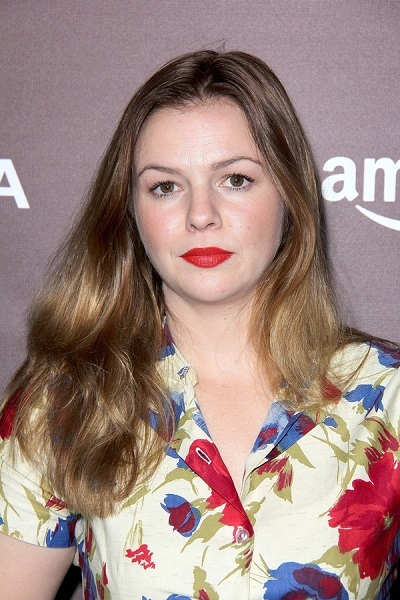 Amber Tamblyn is an American actress, author, poet, and film director. She is the daughter of Bonnie Murray, an artist, singer, and teacher, and Russ Tamblyn (Russell Irving Tamblyn), an actor and dancer. Amber is married to comedian and actor David Cross, with whom she has a daughter. Amber’s paternal grandfather was Eddie Tamblyn (Edward Francis Tamblyn, an entertainer, the son of Joseph Irving Tamblyn and Edna Estella Brown). Eddie was born in New York. Joseph was the son of Thomas Joseph Tamblyn, who was English, and of Emeline/Emma Holland/Hollands, who was born in New York, to English parents. Edna was the daughter of Edward Francis Brown and Estella/Stella K. Hancock. Amber’s paternal grandmother was Sally Aileen Triplett, an actress (the daughter of Thomas Carter Triplett and Blanch Beatrice Webster). Sally was born in California. Thomas was the son of Thomas Carter Triplett and Nancy Frances Thomas. Blanch was the daughter of Myron Mansel Webster and Rhoda Ann Burks. Amber’s maternal grandfather was Alexander Murray (the son of John A. Murray and Agnes S. McCoshen). Alexander was Scottish. Amber’s maternal grandmother was Marian/Mary Alice Blanchard (the daughter of William Gregg Blanchard and Alice Russell McNeill). Marian was born in Pennsylvania. William was the son of Charles M. Blanchard and Alice. Amber’s great-grandmother Alice McNeill was the daughter of James M. McNeill and Marian Russell Young. Joseph Irving Tamblyn had to be Jewish. Joseph Tamblyn was from a non-Jewish, English immigrant family.